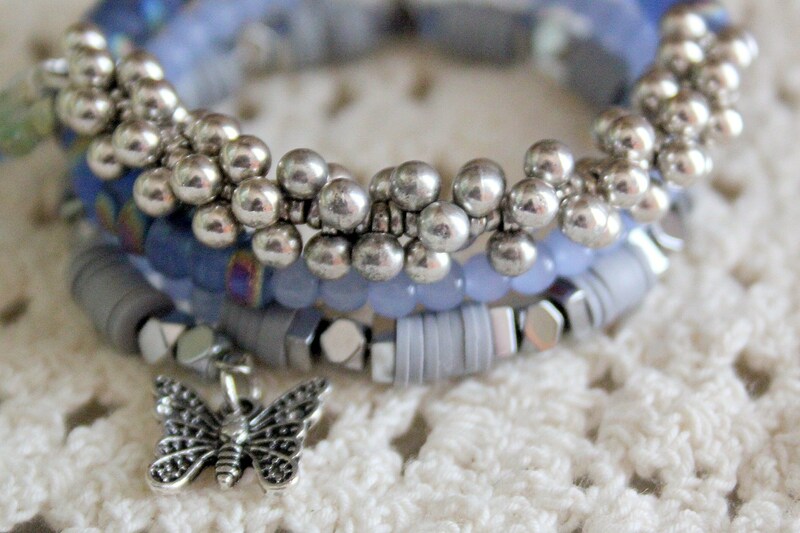 This bracelet is a wrist wrap cuff (no clasp!) made with four loops of strong shape retaining memory wire (tempered stainless steel wire that remembers its shape when you expand it and snaps back to its original form when you release it). The bracelet self adjusts to your movements. It is 2 1/2 inches wide. 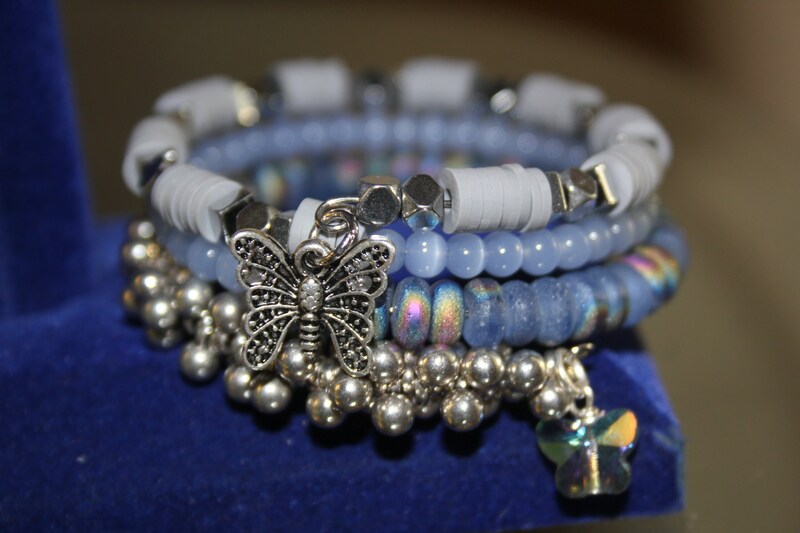 The beads include: Aurora Borealis Czech glass beads, silver India bangle beads, light gray ceramic heishi beads, silver toned spacer beads, blue cat's eye beads, one crystal butterfly charm and one silver plated butterfly charm. 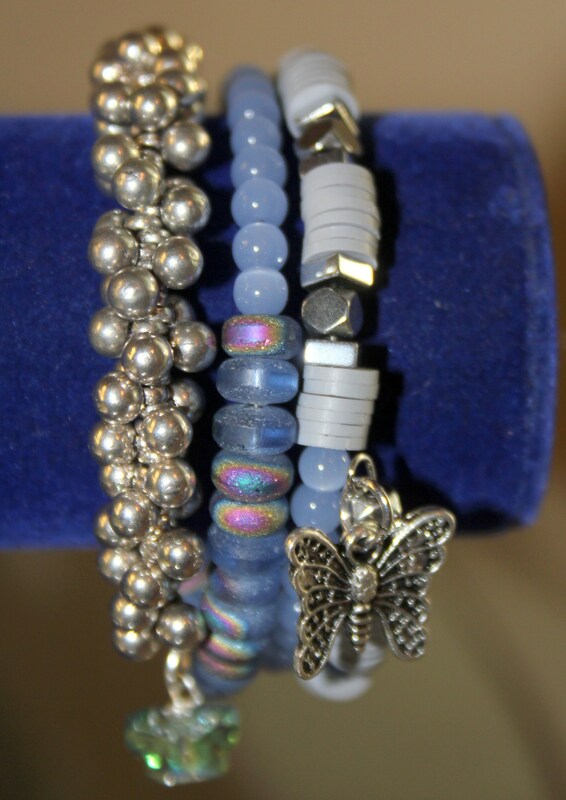 As with all my pieces, the workmanship on this bracelet is guaranteed for one year from the date of purchase.